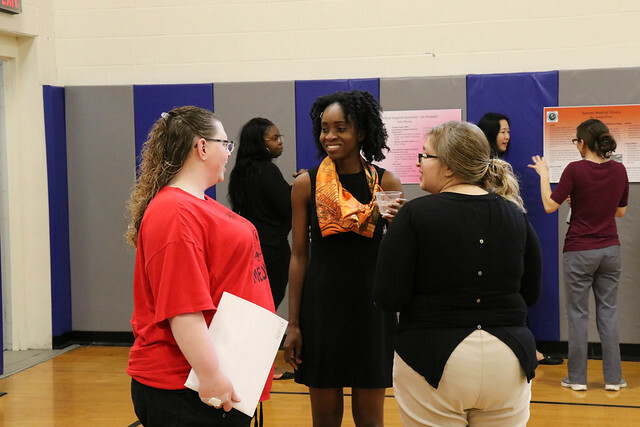 Graduates of Daemen's Health Promotion program have a life-long commitment to maximizing health and wellness through the integration of traditional and complementary therapies in a holistic approach to health care, injury, and disease prevention, and health and wellness promotion. In addition to the BS we also offer two accelerated, combined BS/MS programs. The Health Promotion program provides the foundation to prepare you for a wide range of growing professions in health and wellness. The healthcare environment has greatly shifted toward health promotion and disease prevention and this will continue to grow in the coming years, providing an increased opportunity for rewarding careers. Our curriculum provides a full spectrum perspective, incorporating health system management, administration and policy, global and environmental health, community-based education and advocacy, behavior change theory, program planning and evaluation, fitness, wellness and integrative health approaches. Specialization courses deepen your community health understanding and experiences or explore health and fitness or complementary and alternative approaches to support individual and community-based behavior change and wellness-based lifestyles. Coursework that demonstrates the progressiveness and skill building emphasis of the program, including epidemiology, grant writing, global health, holistic lifestyle, and other specialization coursework. Prepare for certifications that expand your future opportunity- options include the Certified Health Education Specialist (CHES) through the National Commission for Health Education Credentialing (NCHEC), Certified Strength and Conditioning Specialist (CSCS) through the National Strength and Conditioning Association (NSCA), as well as other fitness options through the American College of Sports Medicine (ACSM). Apply for a Career Field Experience in your area of specialization or complete a professional development course to build skills while building your resume. Take advantage of two accelerated, combined programs allowing for both an undergraduate and graduate degree in just 5 years. Options for qualified students include the BS in Health Promotion/Community Health and our Master in Public Health (MPH) as well as the BS in Health Promotion/Health and Fitness and our Master of Science in Athletic Training. These combined programs not only allow for cost savings but also a faster entry into the career. According to the US Bureau of Labor Statistics (Occupational Outlook Handbook), careers related to community health are expected to increase significantly by the year 2024, including Health Education and Community Health Workers (by 13%), Social and Human Service Assistants (by 11%), Social and Community Service Managers (by 10%), and Health Service Managers / Health Care Administrators (by 17%). The need for all of these occupations is anticipated to grow faster than the average increase of all occupations. The Specialization in Community Health (Education, Administration or General Principles) prepares you to work in a variety of settings, such as non-profit community organizations, college wellness, worksite/corporate wellness, healthcare organizations, health departments and more. You have an opportunity to build knowledge and experience in administrative aspects of health care, community outreach and advocacy, addressing health disparity, risk factors and trends related to illness, disease and injury, skills needs to design, implement and evaluate programs, and communicate health messages to individuals and communities in effort to improve health behaviors and outcomes. Program directors, community health workers, patient educators and advocates, social and human service workers, worksite wellness educators, and administrators within private and nonprofit organizations, healthcare organizations such as hospitals, long term care facilities and community health centers and government based organizations. Individualized plans of study may lead to preparation for certification such as a Certified Health Education Specialist (CHES) through the National Commission for Health Education Credentialing/NCHEC. Upon completion, our students may also consider graduate programs in Public Health, including our own accelerated program here at Daemen College where both the undergraduate and graduate programs are combined, allowing for two degrees in just five years. Our MPH program provides tracks in Epidemiology, Community Health Education or a Generalist track. In addition, students have successfully entered graduate programs in Healthcare Administration, Community Health, Health Education and other Social Science disciplines. According to the US Bureau of Labor Statistics (Occupational Outlook Handbook), it is anticipated that there will be an 8% increase in the need for Health and Fitness Trainers by the year 2024. As business and health insurance organizations continue to emphasize the need and benefits of health and fitness programs, fitness trainers and instructors should be prepared to see an increase in the number of consumers that seek such services. This specialization will build your foundation in the sciences, nutrition, exercise physiology, fitness assessment and exercise prescription, as well as strength and conditioning. You will learn to work with the average healthy person as well as special populations, in areas of general health promotion, fitness training and performance enhancement. In addition, you will become certified in first aid and CPR, and will combine the principles of health education and behavior change to promote healthy behaviors and overall healthy lifestyles. This specialization prepares graduates for careers in fitness and wellness education and instruction, worksite/corporate wellness, and in development, implementation and management of fitness programs for performance enhancement, strength training, and injury and disease prevention. Individualized plans of study may lead to preparation for certifications such as Certified Strength and Conditioning Specialist (CSCS) through the National Strength and Conditioning Association/NSCA, as well as other fitness certifications through the American College of Sports Medicine/ACSM. Upon completion, our students may also consider graduate programs in Athletic Training, including our own accelerated program here at Daemen College where both the undergraduate and graduate programs are combined, allowing for both the BS in Health Promotion/Health and Fitness and the Master in Science in Athletic Training. In addition, with planning, students may be prepared to enter graduate programs related to Health Education, Human Performance, Exercise Science, Sports Medicine, and more. Daemen health promotion student, Kirstie Hanson, desired an internship in a dynamic environment in the Buffalo area that provided an opportunity to work in marketing and communications within the health field.